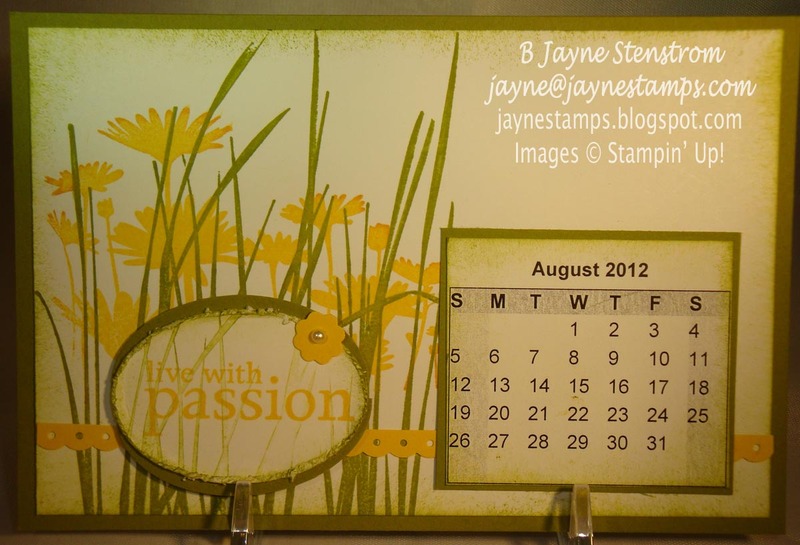 If you've been reading my blog for the past year, you may remember that some friends and I stamped calendar pages for a desktop calendar. I have three more months to show you today. I guess it's a sign of getting older, but I'm not sure that I remember who created each of these. 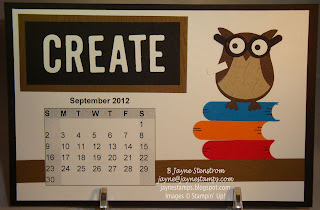 I think Cindy Westerink came up with August's design. I do remember that Sara Bolz came up with this one. I love the "wise owl" for back-to-school and the CREATE on the "blackboard". Clever idea! I'm pretty sure this one was created by Lou Ann Cruttenden. 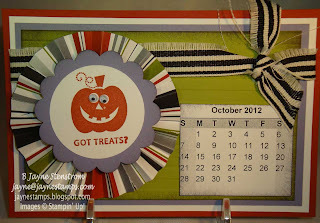 It uses the Got Treats stamp set and the Stripes TIEF. 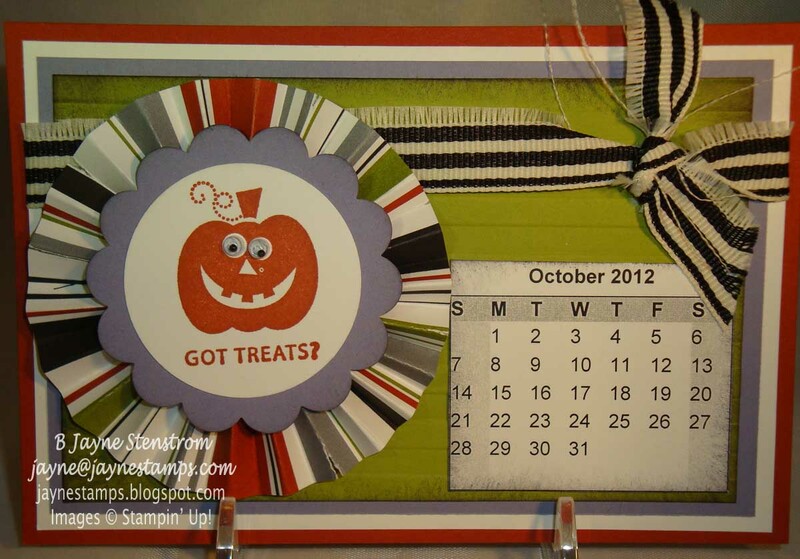 The extra layers of colored cardstock really make this a standout! 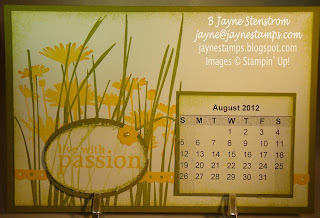 I'm getting together with the same group of ladies tomorrow to have another day of stamping fun! Can't wait!